Patterns For Big/Tall Men and Plus Size Women! 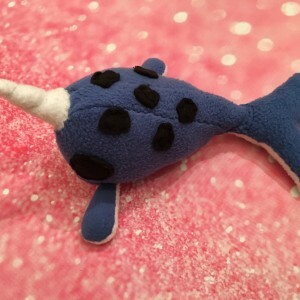 We have had quite a few people write to us wondering if we have other “plus size” patterns in addition to the Plus Size Boys and Girls Patterns. To this we say a resounding YES! We’ve been adding more and more patterns for the Big and Tall Men and Full Figure/Plus Size Women’s categories. (We also have regular S-M-L-XL patterns for men and women. We have a good selection of men’s patterns ranging from Casual Elastic Waist or Tie Waist pants and shorts to Baseball Style Shirt patterns, Nightshirt pattern and Custom fit leather chaps. In addition, we have a big variety of full figure and plus size women’s tops, Classic Elastic Waist or Tie Waist pants and shorts, Beach Cover-up, Split skirt pattern, Straight skirt and flare skirt pattern, all in our men/women’s sewing patterns shop. You’ll LOVE the Camisole Top that has FIVE neckline styles to choose from! 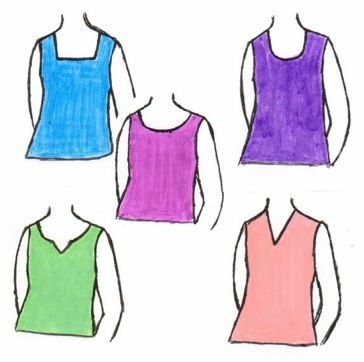 You can make a whole wardrobe of tank tops / camisoles from this one pattern. Check back often as we have many more patterns coming up!! We have not forgotten the big and tall men or the plus size and full figure and curvy women! Well, we’re almost to the half-way mark of the year. Has your business done what you expected it to do so far this year? Have you been keeping an eye on your first of the year goals and projections for the business? Have you had issues and challenges within your family / home office that have put you on edge? What about kids that are very soon to be out of school for the summer – are you prepared for this? We are all aware of the fact that life is not “a bowl of cherries” or a “bed of roses”, but when it gets down to the nitty gritty of exactly HOW MUCH STRESS can we take and still run a business, it’s time to take a step back and try to look at the whole picture. With everything whirling around in your mind – family issues, business struggling and perhaps your own self esteem suffering, you’re probably thinking that it is next to impossible to “work your way out of the hole”. Let’s look at the family issues — is it something that your partner or a friend or relative could help you sort out and work through? Just talking to a mentor about a certain situation could lead to some answers that you might not be able to figure out while you’re barely able to cope with day to day pressures. Next, let’s take a look at the business issues. Sit down for a moment and try to determine what is the source of the problem. Why has the business taken a turn for the worse? Have you taken too many days off since the kids aren’t around during the day? Have you not taken the time to promptly return phone calls that came in while you were out? Have you let the stress build up so that it is almost impossible to think about those alterations that were due out last week, or the dress somebody needed by tomorrow and you haven’t started it yet? If the problem is fixable, which is usually the case, you need to figure out some kind of strategy to fix the problem. How about getting hubby to watch the kids a couple of hours tonight so you can get those alterations done, or get started on that dress. Once you figure out how you can get the problem resolved, it is amazing how much better you will feel, and can actually get back to work. If the problem is not immediately fixable, such as business slow down because of the economy, it might be time to work on some additional marketing ideas for the business. Develop more contacts through your child’s school, local community events, etc and begin doing a little networking and, as always, have plenty of business cards ready to hand out. Remember to always take one day at a time. We always try to “plan and make projections” for the year; however you can’t look at the end of the year, look at today and tomorrow and the next day. Do one thing at a time, keep busy and always try to improve on what you’re doing. When you begin to feel the stress building – stop and take a deep breath, and tell yourself “I am ONE person – I’m doing all I can do, and I’m doing my very best – things WILL work out”. For additional help, we have several business books that you can check out. We believe these business books might be just the thing to jumpstart your business, and even give you some additional ideas to get more money into your business. NEW! Swim Suits For Plus Size Kids. Finally It Fits! Swim suits that fit overweight and plus size boys and girls are almost impossible to find! Check out our gorgeous girls 3-piece Mermaid Swim Set pattern. The pattern comes in two size ranges – 8-10-12 and 14-16 and these patterns are made with REAL plus size children’s’ measurements. Your daughter/granddaughter will be the envy of all her friends! We have the perfect swim trunks pattern for plus size boys as well. The swim trunks come in two size ranges – 8-10-12 and 14-16 and have 3 different lengths. Our swimwear patterns include downloadable full size pattern pieces and step by step illustrated instructions for easy construction of the garments. You can compare your child’s measurements to our plus size children measurements on each pattern to see which size range would be the best. While you’re getting ready for the beach, you might want to make something for yourself – the Convertible Beach Towel/Coverup! It is quick and easy to make – you won’t leave the house without it! Check out all the new stuff!